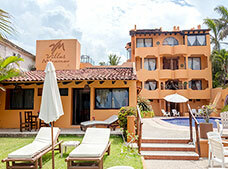 Ixtapa-Zihuatanejo offers a mix of coastal life and modern Mexico. 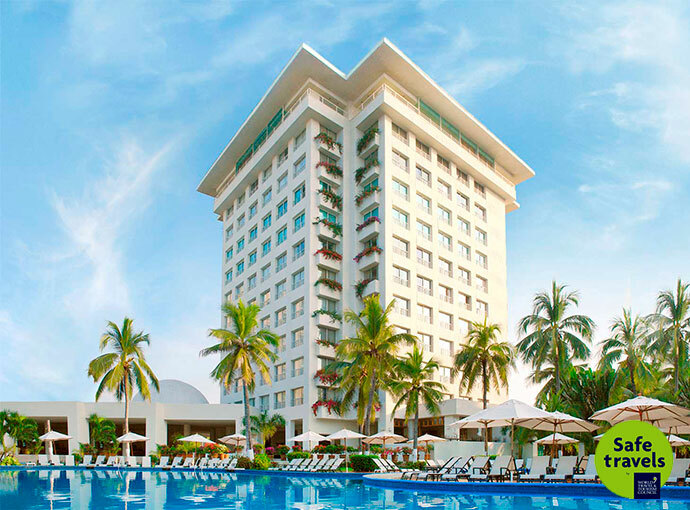 In addition to its natural beauty, you can enjoy all kinds of water sports, sunset cruises, deep sea fishing, golf, bird watching, and fascinating museums housed in majestic colonial buildings. 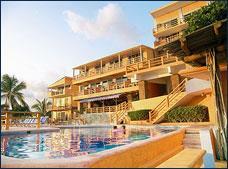 But there’s no doubt that the beautiful beaches and warm ocean waters are what has made this destination along the Pacific Coast of Mexico world famous. 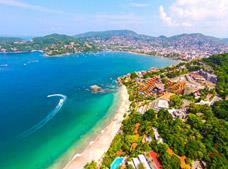 Stretching for more than 20 miles, the beaches of Ixtapa-Zihuatanejo are considered among the most beautiful in Mexico and the main attraction in this destination. The clear waters and golden sands provide the perfect setting for the spectacular sunsets that have made the Pacific Coast of Mexico famous. 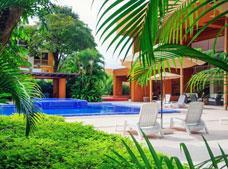 Here, you’ll find mostly quiet beaches where you can spend quality time with family and friends. The most popular and traditional beaches along the bay are: Municipal Beach, La Madera Beach, La Ropa Beach, and Las Gatas Beach, where you can also rent all types of boats. If you want to spend the day at a secluded beach with a wide variety of restaurants and bars, as well as water sports, then hire a “panga” (fishing boat) to take you to Playa Las Gatas Beach. This beach gets its name from the large numbers of cat sharks that inhabit the waters nearby, along with a myriad of colorful fish. It is popular for its calm waters and a great destination for diving enthusiasts, with interesting coral and rock formations. 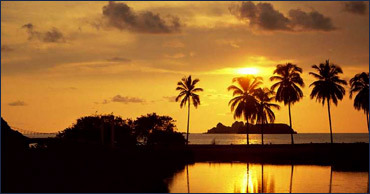 This is the most famous beach in Ixtapa, with golden sands and spectacular sunsets. 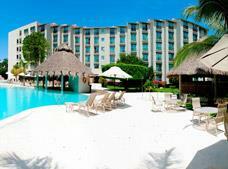 It is located in the Ixtapa Hotel Zone and offers water sports and skydiving. With large waves most of the year, this beach is a popular place for hosting surfing tournaments. 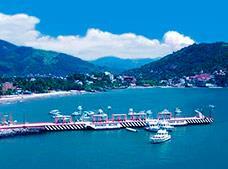 From here you can take a boat to Isla Ixtapa. As you approach the beach you’ll pass a natural protected lagoon that is inhabited by crocodiles, which you can see from a secure lookout point. It also offers horseback riding on the beach at sunset. This beach is located in downtown Zihuatanejo and here is where you’ll find the dock for departures to Playa Las Gatas Beach. 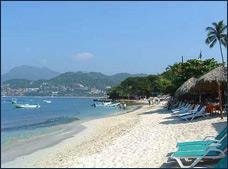 Extending for more than half a mile, this is the longest beach on Zihuatanejo Bay. 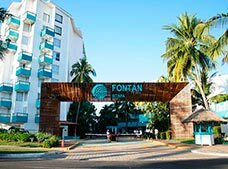 It has a peaceful setting where you can enjoy a variety of water sports, and it’s also home to restaurants and bars serving delicious traditional dishes. It gets its name from the legend of a Spanish galleon that sank off the coast, resulting in clothing and textiles floating ashore. The Pacific Coast is rated as an excellent destination for sport fishing. 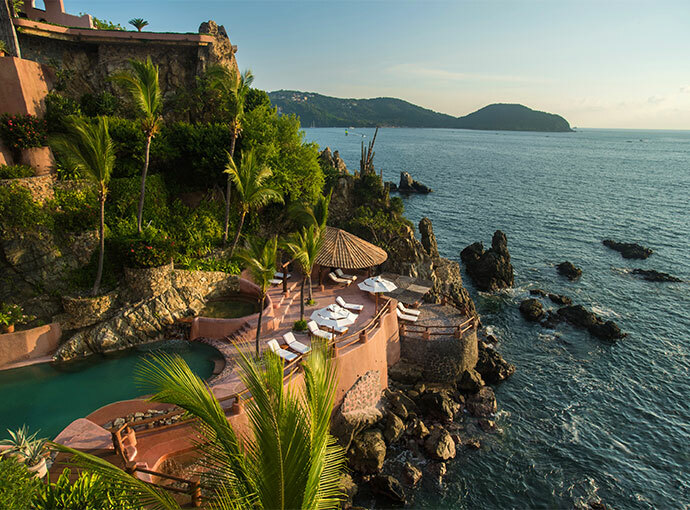 One of the best places along the coast to enjoy this activity is Ixtapa-Zihuatanejo, which is considered among the three best sport fishing destinations in the world. 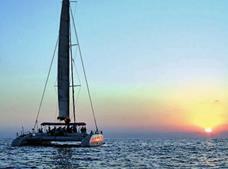 Here it’s possible to catch sailfish, black and blue marlin, yellowfin tuna, and mahi-mahi, among others. 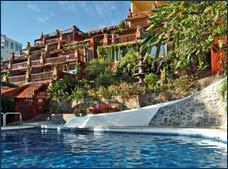 The coastal area and Zihuatanejo Bay are ideal destinations for scuba diving enthusiasts. The waters are home to everything from seahorses, sea urchins, crabs, octopus, and eels to stonefish, grouper, angelfish, and flounder. If you’re lucky, you might even see a giant manta ray. Here you’ll also find Los Morros De Potosi, an incredibly beautiful underwater cave system. 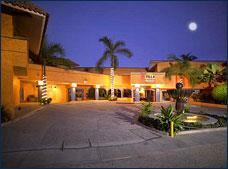 This museum is located on the Paseo del Pescador, in front of the main beach in Zihuatanejo. It showcases the most important information about the 54 archeological sites discovered around Zihuatanejo and the Costa Grande, where you’ll find artifacts from the Olmec, Teotihuacan, Tarasca, and Mexica civilizations. The exhibits are displayed in six halls and tell the story of human evolution in the Costa Grande region, from the earliest settlements up until colonial times. With an abundance of natural attractions, Ixtapa-Zihuatanejo is a great destination for a variety of ecotourism activities. 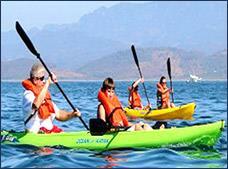 It’s extraordinary for mountain biking, ocean rafting out to Isla Ixtapa, and once there, snorkeling in a peaceful setting. 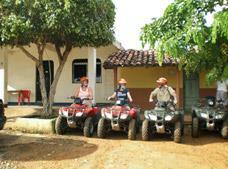 You can also enjoy beginner mountaineering, rappelling, and hiking. 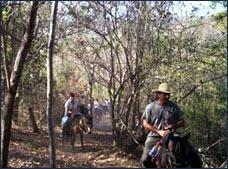 Horseback riding is a great option for exploring the beaches and other picturesque areas. 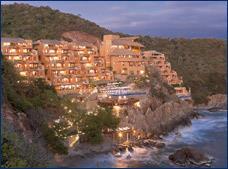 Ixtapa-Zihuatanejo features two fantastic world-class golf courses for golfers of all ability levels. 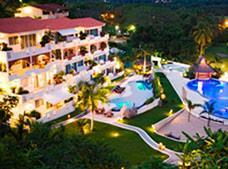 The Ixtapa Golf Course is a championship 18-hole course in a natural setting with an old coconut plantation, natural lakes, and tropical vegetation. 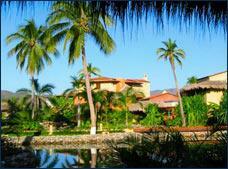 The Marina Ixtapa Golf Course is known for its challenging holes and saltwater inlets on the course. Not only is this bike path great for cycling, but it also provides the perfect setting to appreciate the incredible natural beauty of this dream destination. As you pedal along its 4.3 miles (7 km), beginning in Ixtapa and continuing around the golf course to Zihuatanejo, you’ll see a variety of local plant and animal life. 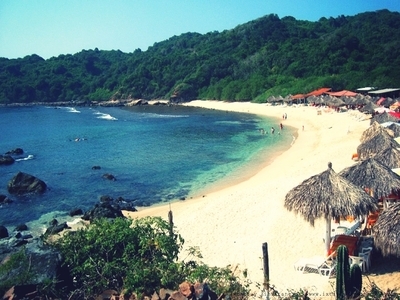 An impressive sight to behold, Isla Ixtapa is a large landform covered in dense tropical vegetation that rises out of the ocean in front of Playa Quieta Beach and Playa Linda Beach. This island can be easily visited on fun boat tours that will take you to any of its three beautiful beaches, which are great for enjoying a variety of water sports or simply just to relax and sunbathe. Another of the island’s charms is that you can dine on delicious seafood at very reasonable prices.